Anyone can participate and anyone should. 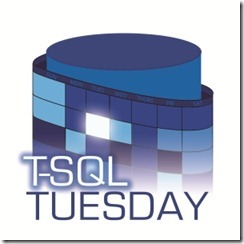 Participants must include the T-SQL Tuesday logo (above). That logo must link back to the invitation post (you’re reading it). Adam adds some additional verbiage here that I won’t repeat, even though I agree with it. Have fun. Write content. Get it linked back here. If you’re interested in hosting your own T-SQL Tuesday event, read up on the rules here and get in touch with Adam Machanic.